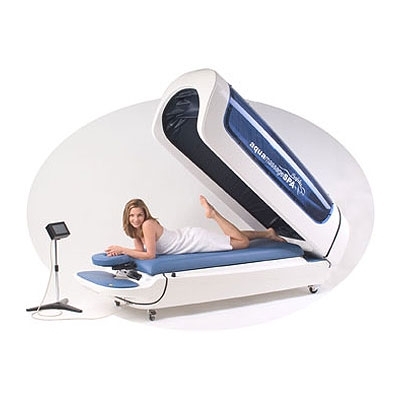 Dry hydrotherapy water massage system provides a relaxing and therapeutic massage while fully clothed. There are many different intensity levels that can be programmed into the machine! You can receive a light, gentle massage up to a very intense pressure for those of you who really have knots in your back and neck! The pressure can even be adjusted for different sections of your body!